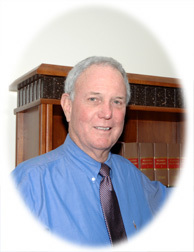 Tom Adams received a Bachelor's degree with honors from the University of South Florida in 1970 and a Juris Doctor degree with honors from Florida State University in 1973. While in law school, Tom received American Jurisprudence Awards for Excellent Achievement in the study of criminal law and corporations. Mr. Adams has practiced law in Bay County since 1980 and is a member of the Florida Bar, the Bar of the U. S. District Court for the Northern District of Florida and the Eleventh Circuit Court of Appeals. In 1986, Mr. Adams was awarded the President's Pro Bono Service Award by the Florida Bar. Tom's primary area of practice is products liability litigation and mass torts. Tom represents clients with BP oil spill cases, transvaginal mesh, metal on metal joint implants and various pharmaceutical claims. The hiring of a lawyer is an important decision that should not be based solely upon advertisements. Before you decide, ask for free written information about the attorney's qualifications and experience. The information included in this site is not, nor is it intended to be, legal advice. Samuel T. Adams is licensed to practice in Florida. Established 1973. Copyright ©2009 by Samuel T. Adams. All rights reserved.